The forms and information found on this online self-help center are provided by the Nebraska Supreme Court’s Committee on Self-Represented Litigation as part of the Nebraska Supreme Court’s commitment to ensuring that all Nebraskans have meaningful and full access to the judicial system, including those Nebraskans who represent themselves. 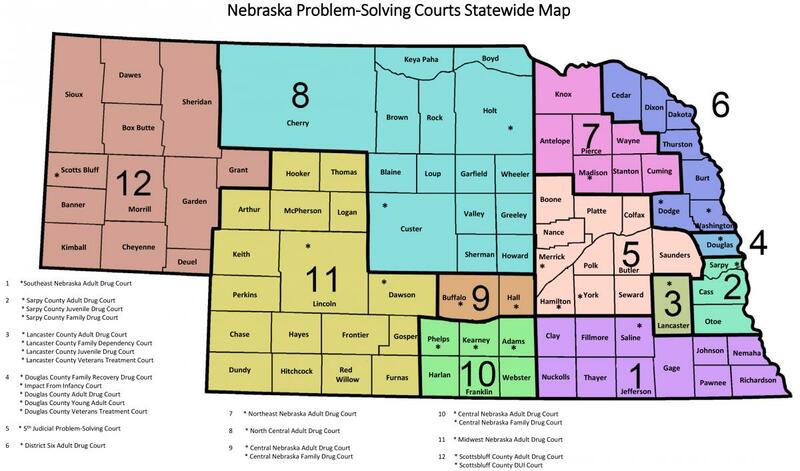 This "virtual" Self-Help Center has information and links to legal resources to help you represent yourself in Nebraska Courts. The information here is not a substitute for legal advice. You should talk with a lawyer licensed to practice law in Nebraska to get legal advice on your issue. In some circumstances people have chosen to represent themselves, or circumstances dictate that they do so. In order to ensure that self-representation is undertaken with as much understanding as possible, this portion of the Judicial Branch website is designed to connect you with information or services that will better inform you of your options. The materials provided on this website are a product of either the Office of the State Court Administrator or the Nebraska Supreme Court Committee on Self-Represented Litigation. While these materials have been approved by the Nebraska Supreme Court for publication on this website, they are provided as a public service and any questions regarding their use in your circumstances are best answered by an attorney.